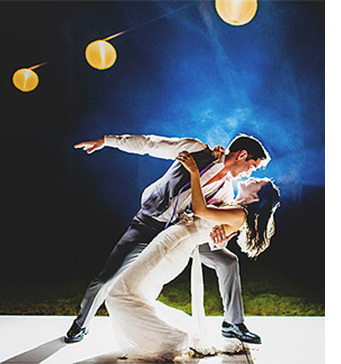 Rapid advancements in technology have allowed countless people to venture into the world of photography, many of which are drawn to the wedding industry. I've found that they usually fall into two camps; one for the love and one for the money (I can hear you singing Jessie J in your heads from here!). Your job is to find a photographer that will do it for the love. It's simple; those passionate about paying their bills will make all efforts to push your hand and sell you products, while those who are passionate about their service will make all efforts to surpass your expectations in all areas. 2. Ask to see full galleries. There is no better way to get a clear indication of the consistent level of quality you'll receive. A blog post may showcase the very best 40 photos, while the full gallery is 400. You're seeing just 10% - what is the quality of the remaining 90% (the vast majority)? Even better, ask to see a gallery from the venue you have booked, or if that's not possible, one that's similar (there's no value seeing a full gallery from a wedding on a beach if yours is in a London hotel, for example. Very different circumstances, very different skills necessary). 3. If you can't meet the photographer in person, have a video call (Skype or FaceTime). I do this with nearly all couples who book and it's a fantastic way to get to know them and learn about their wedding. Are they personable? Patient? Able to communicate clearly? Do they show genuine interest in your wedding, or have they just talked about their packages and tried to up-sell you a variety of products? Follow your instincts! 4. Don't be pressured into a decision. Sales persons have a variety of psychological tricks they can employ. Some simple, some complicated. Regardless, you can tell straight away - are they pressuring you to book? Do you feel rushed? If so, walk away and find some breathing space. The best photographers are comfortable in their ability and service, and will very, very rarely attempt to persuade you. They won't need to sell anything to you, because they'll be doing just fine with bookings due to their level of expertise. That relaxed manner is invaluable on the day. 5. Look past the detail shots. We all love details, they look great in blogs, but always remember that you're not getting married to showcase details. You're getting married to showcase your love for one another, and the invisible connections between yourselves, your friends, and your families. Are the bride and groom portraits a bit stale, or are they filled with genuine smiles and love? Has the photographer placed a pretty kissing couple in front of a stunning background, or have they captured real moments? The later will be far more valuable to you in the years to come.